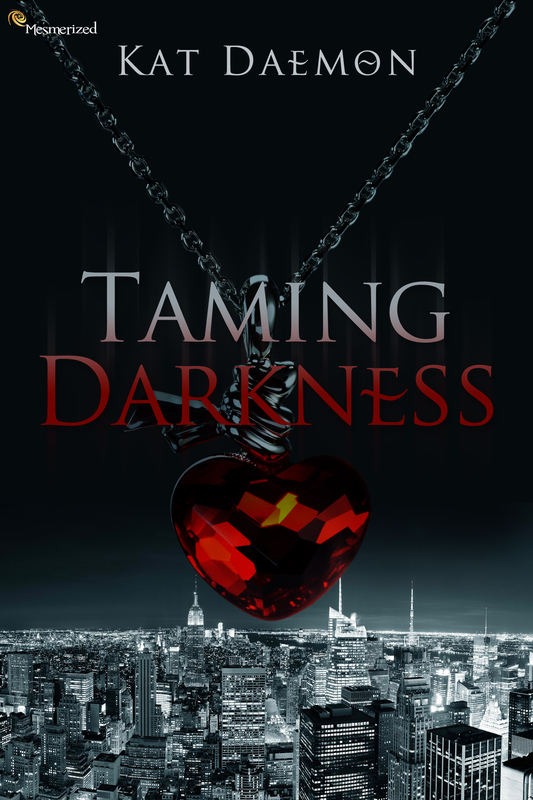 Today is my stop on the blog tour for Taming Darkness by Kat Daemon. 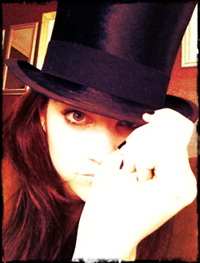 Kat Daemon is published by Entranced Publishing. This blog tour runs from 3rd March 2014 until 16th March 2014, you can view the whole tour schedule here. I’ll be sharing an excerpt of this book with you today. Since he was sentenced to earth eons ago, Lucifer has always lived by three simple rules: Humans are toys that are meant to be played with, love is a useless emotion, and the only creature worth fighting for is himself. To him, nothing matters but his own enjoyment, whether it be manipulating those around him, or indulging in the sins of the flesh with Lilith. Then he found young, sweet, and innocent, Maria, who is everything that Lucifer detests. She has devoted her life to her one true love, God. Unable to resist a challenge, Lucifer sets his sights on tempting Maria away from his enemy. Disguising himself as Lucas Starr, he creates a world that not even Maria can resist. He never planned on having the tables turned on him. Imagine Lucifer’s surprise when Maria brings him to his knees and shows him a glimpse of heaven once more. Blinded by his arrogance and an unlikely vision, Lucifer falls again, this time forgetting that some lines should never be crossed. When his greatest opponent, Michael, shows up, all Hell breaks loose. Will Maria be able to accept Lucifer for who he truly is, or realize what Michael already knows: some destinies can never be changed? You can add Taming Darkness to your to-read list on Goodreads. You can find more about Taming Darkness on the Entranced Publishing website. There are many places that I have called home over my lifetime. I have rooms in every corner of the globe. Yet, I have such a fondness for Manhattan that I made a penthouse on the Upper East Side one of my more permanent lairs. I acquired the building during the stock market crash of 1929. Amazing what people are willing to give up when they are in a state of panic. Although the entire building is mine, I prefer to spend my time at the top, watching the city, keeping a close eye on humanity. This particular evening, I was host to a party, an impromptu event in which many of my minions had brought with them a human counterpart to tempt and indulge. All around me, the weak were lost in laughter, swimming in the sensation of sin as they turn a blind eye on their conscience. Bodies were draped over chaise lounges with veins full of heroin, brains closed to common sense. Girls danced for men with dollars while greedy hands in the corner bet their house over a card game. In the back rooms, people fucked like dogs, cheating on their spouses, and snorting lines of cocaine off of the bodies of the camouflaged demons that would later chain them to the beds. The air was thick with smoke and fragrant with booze. It was a typical Saturday night. I sat cast in shadows, a king on my throne, observing the jesters that provided my entertainment. Sometimes, human behavior fascinated me. But mostly, I was watching Lilith. She was sitting on top of the bar, with no less than a dozen suitors at her feet. Leave it to Lilith to break my one guest rule. Red leather high-heeled boots ran up her legs, black hot pants revealed too much flesh, and a red halter top tied her up in one neat package. Her skin might as well have been white marble, with lips red as roses begging to be kissed. Lavish, flaming red hair spilled over her breasts, hitting her hips in thunderous waves. She was the vision of a ripe, delicious, cherry waiting to be plucked. One of my favorite features was her eyes. They were always changing color, alternating between green and yellow. What was even more fascinating was that she could spin them at will, hypnotizing any man that needed to be soothed. The primitive beings before her fought hard to serve, hoping for a fraction of consideration, but her eyes were on me. They always were. Hopping off of the bar, she walked toward me, her body swaying in a seductive rhythm, her hips demanding my attention. She offered me a half empty glass of bourbon, and made herself comfortable in my lap. Stretching out like a cat, she lay against my chest and raised a lazy hand beneath my chin, tracing my chiseled jaw with her finger. Had it been a normal night, I would have enjoyed her this way, but I knew it wasn’t for me. It was all part of the act for her fans, whose hungry eyes longed for her, with tongues hanging and dicks waving. I pulled her hair out of my face, rested it on her shoulder, and took a generous gulp of the bourbon. “Rough day at work, dear?” I asked while eyeing the strings of her shirt knotted at her neck. It didn’t seem to be tied very tight, and I was tempted to pull it apart. “Oh? I’m in need of a new toy.” She took a drink from the glass and licked her lips before laying her head against my shoulder. “I keep breaking all of mine.” She gestured toward the bar, where the men were begging for her return. Her fingers unbuttoned my two top buttons. She slipped her hand inside and ran her fingers over my pecs. She was warm, like me. “I’m not sharing this one,” I declared. “You never do,” she said, pulling her hand back a tad more defiant than I would have liked. Sitting up and slamming back the bourbon, she leaped from my lap, taking a step back toward her fans. Lilith turned a lazy head and noted who I referred to. “Do you want him?” she offered. “I want his watch,” I said, my eyes locked on the Rolex that was in all likelihood a family heirloom. Lilith laughed. “Is that all? Consider it yours.” Then she made her way back to the crowd to break a few hearts, and perhaps a few necks as well.